Maria Luisa Cake is a traditional food from El Salvador and Colombia. A friend of mine has been teaching me how to make a few traditional foods from El Salvador, her home country. We've tackled some main course dishes so far . . . no desserts . . . so I was inspired to try this gem of a Salvadorain food. Though it's little heard of among Latin American desserts (mainly because desserts in general don't talk much...), but delicious and worth a try. You'll find yourself a quick fan of Salvadorian cuisine after trying this Latin American recipe. This Salvadorian food is both delicious and presentable. Not only is this Salvadoran food handsome, it's delicious! 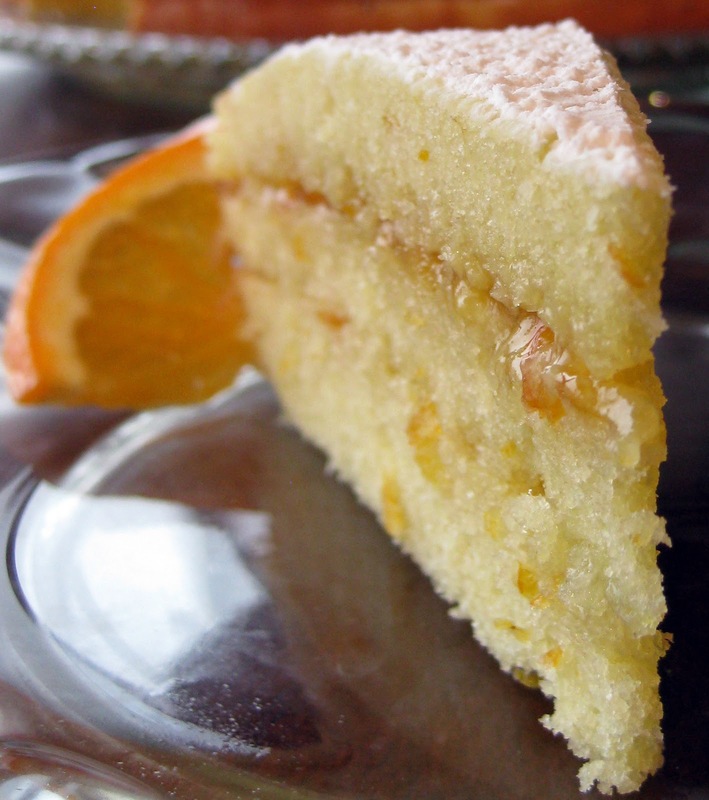 The Maria Luisa cake is popular in both Colombia and El Salvador, and with good reason: Orange marmalade marries three moist, sweet, citrus-infused layers. A dusting of powdered sugar seals the deal. Ultimately, this citrus cake is a Latin American adaptation of the English tea cake: a two-layer sponge cake filled with jam and whipped cream and enjoyed at tea time. However, a cup of hot, freshly brewed coffee, not tea, is the preferred mode for enjoying a slice of this Salvadorian food. Espresso, Grand Marnier, and Cointreau are all equally worthy pairings. The last two make a cameo appearance in my photos above and below. 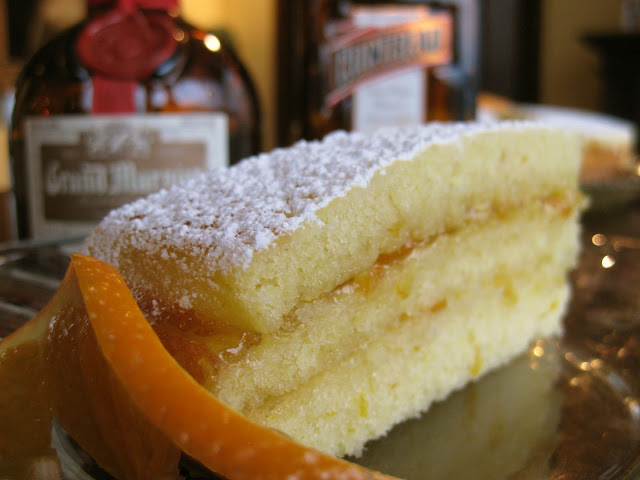 Maria Luisa citrus cake is a special recipe among latin american desserts. 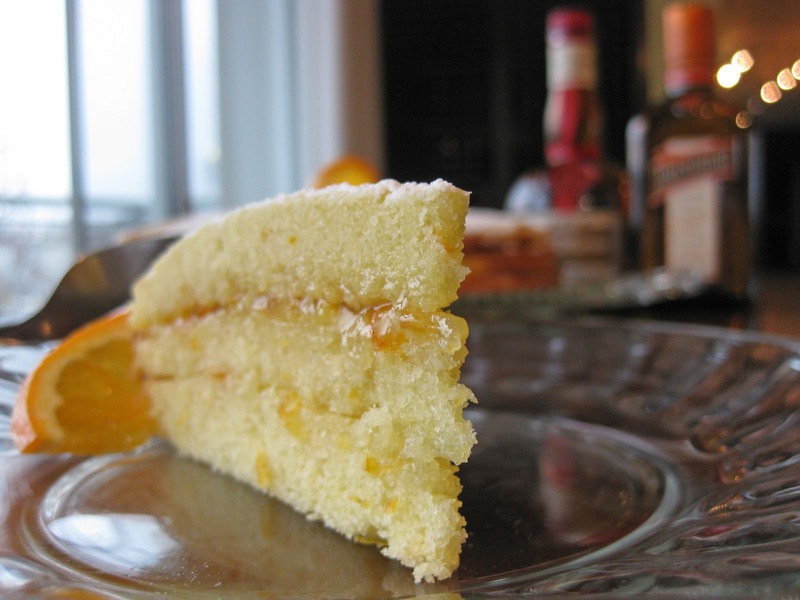 Orange zest and orange juice provide nuanced flavor while butter and a hefty number of eggs make this orange cake rich and moist. The result is a much more interesting dessert than what you can get with a box mix cake. And the lack of traditional frosting makes it easy to assemble: spread jam, dust with sugar. Use room temperature ingredients. Make sure the eggs, butter, and orange juice have had about an hour to reach room temperature before you start mixing things together. If you fail to do this, the ingredients will not mix properly, and you will have a dry, grainy cake. Use three cake pans, and line them with rounds of parchment paper. This will help you remove the layers without breaking them. Here is a link to the maria luisa recipe I used. Most Maria Luisa recipes are very similar, calling for 6 eggs, orange juice, orange zest (sometimes lime), and 1 cup of butter. The recipe above is no exception to the rule. Good luck with this tasty Central American dish!